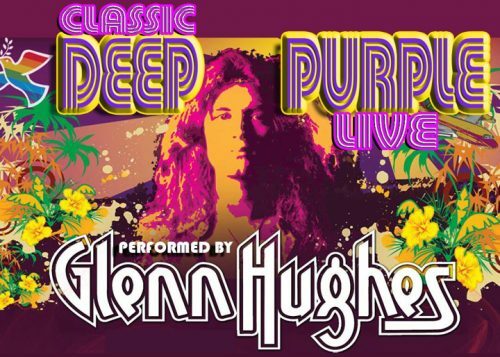 Glenn Hughes will be bringing his Classic Deep Purple Live set to the United States in late August / early September this year. He will play a total of 17 dates, mostly in the North East, starting with Westbury, Long Island, on August 25th, and wrapping up in Tarrytown, NY, on September 22nd. Tickets for many of the shows go on sale later this week. Further details in our calendar. Posted by Nick Soveiko on Tuesday, April 3rd, 2018, filed under News. You can follow comment on this post through the RSS 2.0 feed. You can skip to the end and leave a comment. Pinging is currently not allowed. It’s a shame that BCC is not touring extensively with their huge excellent song catalog for their brilliant four albums. Having said that any show with the name DP is a crowd puller. Glenn rules each way he decides to go. A few plusses for this fan. Tickets secured at $23 per, plus the criminal “services charges”, and a half hour ride from home to The Pony. Stormbringer dance on the thunder again…. Would be nice if he, Coverdale and Blackmore formed a group. – GLENN PLAYED A TRULY entertaining show, at ‘Viften’ in Copenhagen yesterday. ‘Mistreated’ was nothing less, than stuvning. His gunslinger – Søren Andersen, from ‘Electric Guitars’ fame did a great job. Spare from ‘Smoke on the water’ and ‘Highway Star’ the band sticked to the 3 DP albums Glenn was involved in. Got tickets fro September 13th in Illinois….. HELL YEAH!!!!! I just scored my tickets for the Illinois gig (8th row, center). It will be a 1000 mile round trip, but I have not ever gotten to see Glenn yet (and I’m close to being a four decade fan), so it’s worth it. I noticed they have a date in the USA. Anyone know of a US tour happening in 2018? @14 greg furlong, there’s already an existing 3 piece band from Texas simply named “Purple”. Blonde chick plays drums & sings…. Guitar & bass handled by a pair of men. Ritchie’s an old man. It really is showing. I don’t think he can pull it off. He’d need to eat some humble pie and dedicate himself to improving his playing. Nice thought though. I saw him, here in Buenos Aires. Inmediately go and buy tickets to see and here this great show!!!!!! Sorry, Glenn Hughes is so far removed from classic Deep Purple that I could only sigh at the reading of this article. No offense to Hughes, he’s a hard working man and has good talent. He is just not part of classic Deep Purple in my eyes and ears. If Burn (and Glenn’s contribution to it) isn’t (also) “Classic Purple”, then I don’t know what is! “Classic Purple” is to me not just Mk. 2, but also Hush, the string section in Anthem, the April trilogy, Emeretta plus Burn and something like Soldier of Fortune. None of this is Mk. II, all of it forms a part of “classic Purple”. Sure, the Mk. II era forged a sound and never before or after were Purple more in tune with the times (and as influential); it’s certainly the most vital part of “Classic Purple”, but it isn’t everything. He came to Australia where l live and l just couldn’t go, he had no part in SOTW or HS so why do em? Playing those MK3 songs just not the same without the other original members doing them with him.. Both Mk II songs were in the Mk III set. As were Space Trucking and snippets of Lazy and The Mule. I guess he wants to recreate the experience of the original Mk III set list. Glenn doing SOTW is no less credible than Ian Gillan, Roger Glover, Steve Morse and Don Airey doing “Hush”, none of them had any part in that song. And the urgency with which the Mk III line up performed their songs is still very much intact with Glenn, let me assure you! Glenn and classical deep purple? He turned DP into a middle class Funk Rock band, the best they could do then was to call it a day in 1976. 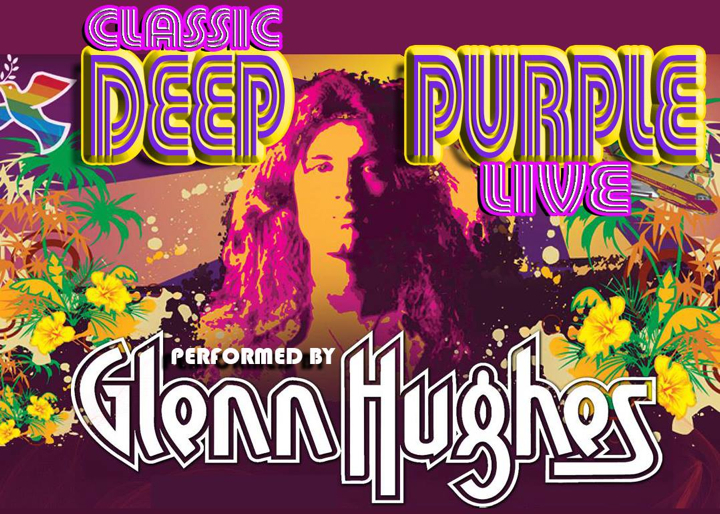 Glenn Hughes has nothing to do with the classical Deep Purple! He still makes a lot of money with his manageable amount of contributions to the band. Thus quoth a man who has never given Hughesy’s stellar bass playing on You Fool No None (Made in Europe vinyl, side 2) a closer listen!